Blackhawk trousers and Fjallraven trousers are ideal for Police, close protection and security work, our tactical trousers feature numerous pockets in various sizes and locations, allowing you to have everything you need securely and easily to hand. Tactical Trousers come in various colours that are available this may not be immediately obvious from the images below, but are available as a selection within the product. Blackhawk Lightweight Tactical Trousers in Black, lightweight yet rugged tactical pant with Teflon® DWR coating. Blackhawk Warrior Wear™ Lightweight Tactical Trousers have many of the popular features found in the original Tactical Trousers but in a rugged, lightweight package. Constructed of durable 65% poly and 35% cotton ripstop fabric with Teflon® DWR (durable water resistant) fabric treatment to resist stains. These black tactical pants from Blackhawk are ideal for close protection, security teams and Special Forces wear or as Police firearms officers duty trousers. 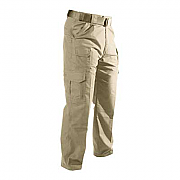 Blackhawk Lightweight Tactical Trousers in Khaki, lightweight yet rugged tactical pant with Teflon® DWR coating. These tactical pants from Blackhawk are ideal for close protection, security teams and Special Foreces wear. Blackhawk Lightweight Tactical Trousers in Navy Blue, lightweight yet rugged tactical pant with Teflon® DWR coating. These navy blue tactical pants from Blackhawk are ideal for close protection, security teams and Special Forces wear or as Police firearms officers duty trousers. 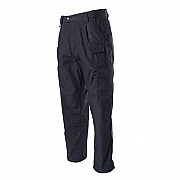 Blackhawk Warrior Wear Tactical Trousers in Navy Blue, cotton hard-wearing trousers. Blackhawk Warrior Wear Tactical Trousers in Navy Blue are durable wrinkle, fade, and stain resistant 8.5 ounce cotton canvas with double layering in the seat and knees for increased wear and protection and crotch gusset allows increased movement. 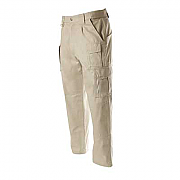 Blackhawk Warrior Wear Tactical Trousers in Khaki, light and hard-wearing trousers. 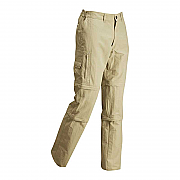 Blackhawk Warrior Wear Tactical Trousers in Khaki are durable wrinkle, fade, and stain resistant 8.5 ounce cotton canvas with double layering in the seat and knees for increased wear and protection and crotch gusset allows increased movement. 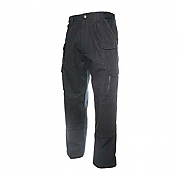 Blackhawk Warrior Wear Tactical Trousers in Black, light and hard-wearing trousers. Blackhawk Warrior Wear Tactical Trousers in Black are durable wrinkle, fade, and stain resistant 8.5 ounce cotton canvas with double layering in the seat and knees for increased wear and protection and crotch gusset allows increased movement. 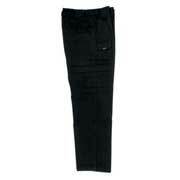 Blackhawk Performance Cotton Pants - Black, Great Police or Shooting Trousers from Blackhawk. 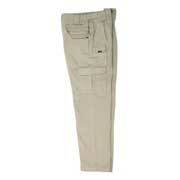 Blackhawk Performance Cotton Pants - Khaki, Military and Close Protection Trousers from Blackhawk. New for the 2010 season, the Blackhawk Performance Cotton Pants are suitable for Military and Close Protection use as tactical trousers. 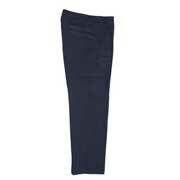 Packed full of features, these Blackhawk Performance Cotton Pants are smart, stylish and well manufactured. 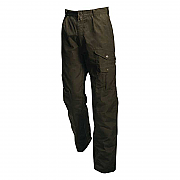 Fjallraven Greenland Trousers, Quick drying, windproof casual trousers designed with the outdoors in mind. 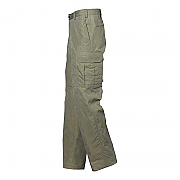 Fjallraven Greenland Trousers made from G-1000 are windproof, very durable and quick drying. Fjallraven Trousers have been designed with the outdoors in mind; they are great for hiking, walking, wearing in the mountains or as tactical trousers for close protection - or even just as great casual trousers. 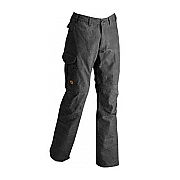 Fjallraven Iceland Trousers, classic hard-wearing and dependable trousers with plenty of pockets. These classic Fjallraven Iceland Trousers have been a European favorite for many years. 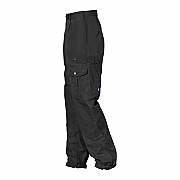 Fjallraven Iceland Winter Trousers dependable trousers with plenty of pockets. Fjallraven Iceland Winter Trousers feature the same details as the Iceland trousers but with a thin lining that provides extra warmth in the winter. High waist, comfort fit. 8 pockets. Safety pocket and raw length. 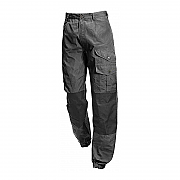 Fjallraven Reivo Trousers, cool G-1000 fabric trousers, suitable for walking, trekking and hiking.